Thank you very much for all your lovely messages about this week’s blog posts, in particular those about my visit to Holland. 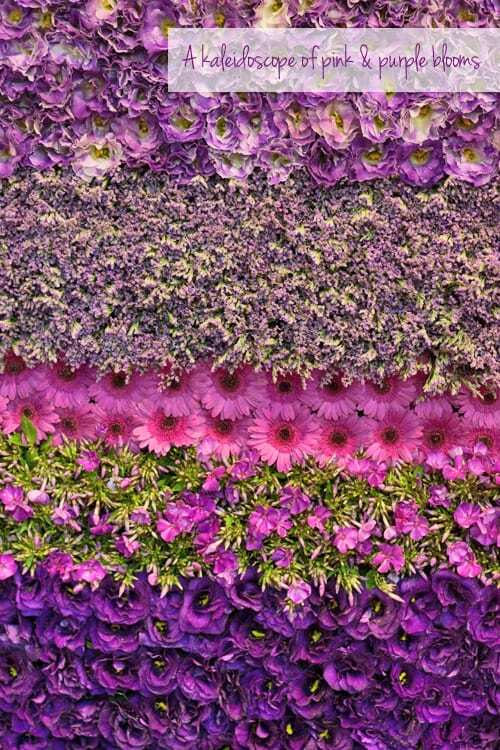 Above is another photo from my trip…an amazing flower wall which I just had to capture at the FloraHolland Trade Fair. Highlights from my week include a visit to The Sussex Flower School to attend a Vintage Flowers course. It was so lovely to meet Georgia who runs the school. I felt like I already knew her, as I’ve featured her in an interview and she advertises on Flowerona, so we’ve had lots of email and Twitter ‘conversations’. Here’s a peek at the bouquet I made on the course which features beautiful Memory Lane roses. In the afternoon, I headed back into London to attend a wonderful event at The Conran Shop. A ‘behind the scenes’ look at the FloraHolland Aalsmeer Flower Auction! The most popular blog post this week was ‘Christmas table arrangement by Philippa Craddock’. So I hope you have a lovely Saturday. I’ll be spending most of my day on a Lightroom course at a local college…to help me with cataloguing and editing my photographs. P.S. As I’m sure you can imagine (! ), my Flowerona radar is always ‘on’. 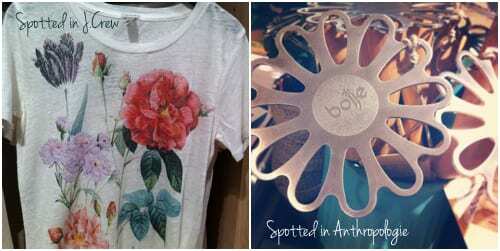 And when I was in Regent Street in London last weekend, I saw this pretty floral-inspired t-shirt and daisy masher (for mashing potatoes, not daisies!). 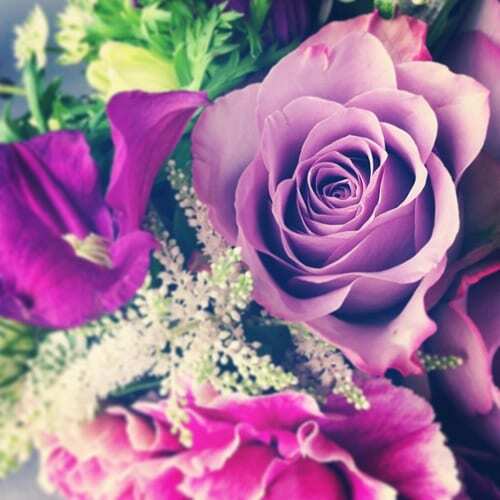 Perhaps Christmas present ideas for flower-lovers?